Fitness level: Not terrible but definitely enjoy carbs shirt. 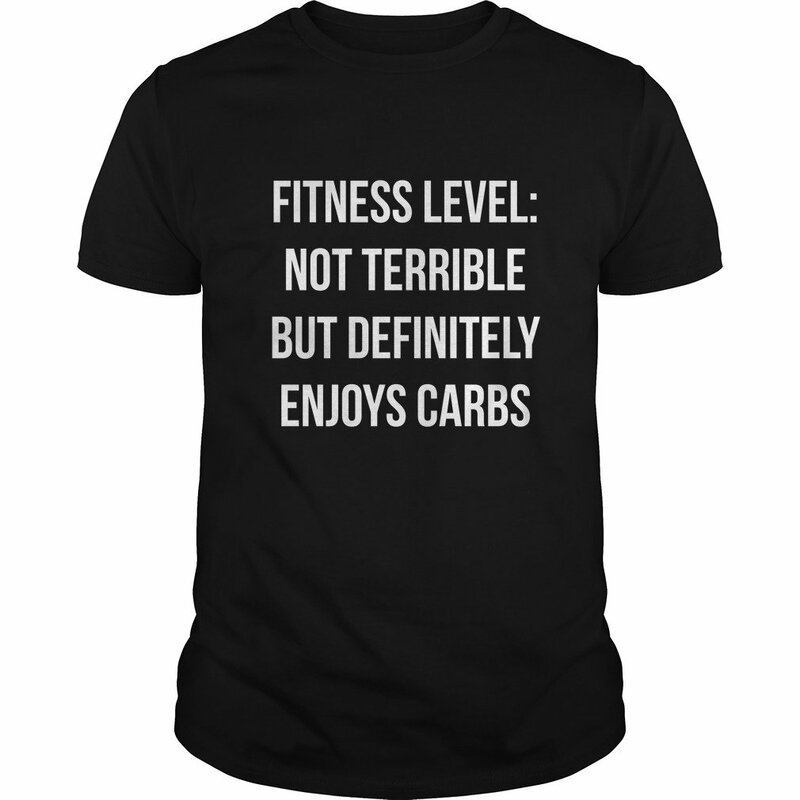 Fitness level: Not terrible but definitely enjoy carbs t-shirt, guys tee, ladies… This shirt made for men and women. Has so many colors and styles on custom the product of we.